It seems from outside we have a bone and covering skin and some hair on it, thats true but it is more complicated structure then it seems like. I am not going to dig too deep here but just note some points. Scalp has 5 layers and every layer has its own functions. 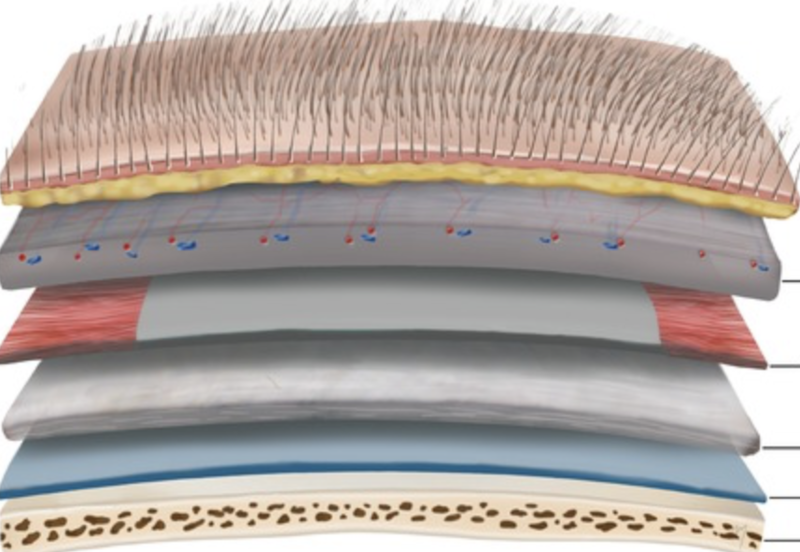 The skin contains all the appendages, including hair follicles, which extend into the down layer. During hair loss, thinning of the outer two layers usually occurs. This situation can be appreciated when one compares the thickness of the scalp in recipient areas with that in donor areas. 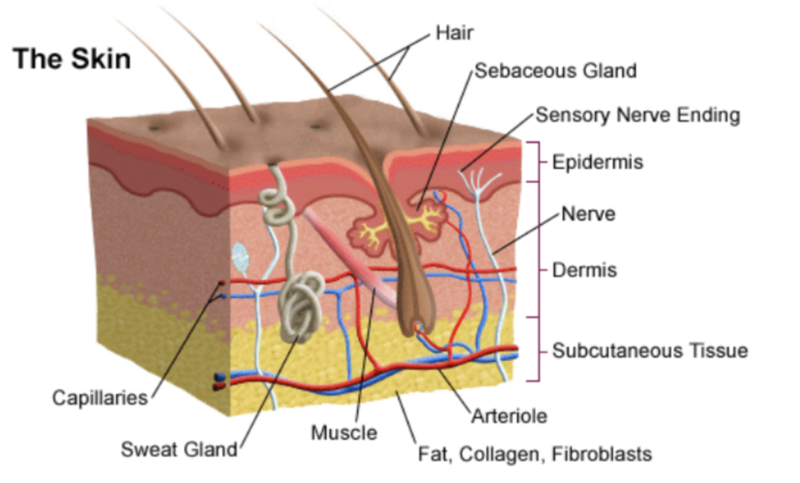 We also have Sebaceous gland next to shaft of hair and more down muscle of hair even. Capillary network, nerves, other vessels, fat and so on.